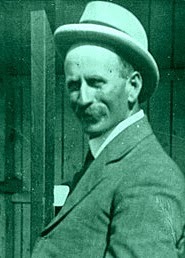 Patrick Andrew Connolly (1866-1946), racecourse owner, was born on 20 October 1866 at Ophir, New South Wales, fourth child of Irish-born parents Patrick Connolly, farmer, and his wife Agnes, née Graham. Little is known of Paddy's early life, save that his mother apparently ran a bush pub. He rode his family's horses at local racetracks and had a stint as an itinerant stockman in Queensland before joining the gold rush to Kalgoorlie, Western Australia, in 1894. There he entered the carrying trade with such success that in 1900 he purchased a large property on the outskirts of Perth, leased an inner-city hotel and moved to the capital. On 7 February 1898 he had married Alice Julia Hide at St George's Anglican Cathedral, Perth; they were to be divorced in 1924. He invested in a string of hotels, tin-mines and pastoral stations, but his first love was horses.